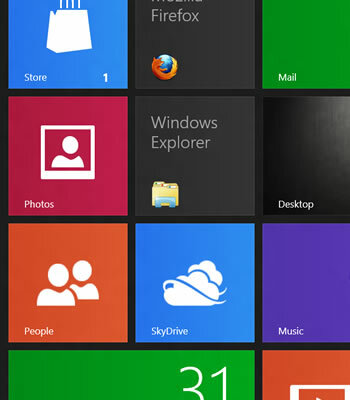 Microsoft has announced the completion of Windows 8's development with the final build on its way to OEM partners. The RTM (release to manufacturing) milestone marks the last development stage before general availability and accurately represents the final product, barring any showstopping bugs. System builders will use the RTM version to prepare products for the operating system's launch on October 26. Besides its inevitable appearance on torrent sites, the Windows 8 RTM will be offered through various legal means before October. Developers and IT professionals will be able to download the build two weeks from now via MSDN and TechNet. On August 16, the OS will be available to Microsoft Partner Network members and Windows 8 Enterprise will be available through the Volume License Service Center (VLSC). On August 20, Microsoft Action Pack Providers (MAPS) will receive access and on September 1, Volume License customers without Software Assurance will be able to buy Windows 8 via Microsoft Volume License Resellers. Microsoft says availability for other partner programs will be announced when the time comes. In the meantime, the company has prepared a couple blog posts for businesses eyeing the upgrade. Once in possession of the Windows 8 RTM, folks can begin submitting paid apps to the Windows Store (only free apps were previously permitted). Developers will earn 70% of app sales and that figure increases to 80% once the software exceeds $25,000 in revenue. Microsoft has also offered a list of certification policies along with a handy guide on implementing features such as in-app purchases and trial periods. Microsoft says it's "humbled by the breadth of participation" in its prerelease software. The Developer, Consumer and Release builds have been the most broadly tested previews of any MS product with over 16 million PCs actively participating including 7 million on the Release Preview alone. The company thanked users for their feedback and said it would continue evaluating real-world experiences with Windows 8. As noted, consumers will be able to purchase the operating system starting October 26. The company previously announced that it would let Windows XP, Vista and 7 users upgrade to Windows 8 Pro for only $39.99, far less than the $120 or $220 to update from Vista to 7 Home Premium or Ultimate. Also, folks who purchase a new Windows 7 PC ahead of Windows 8 will be able to upgrade for only $14.99.